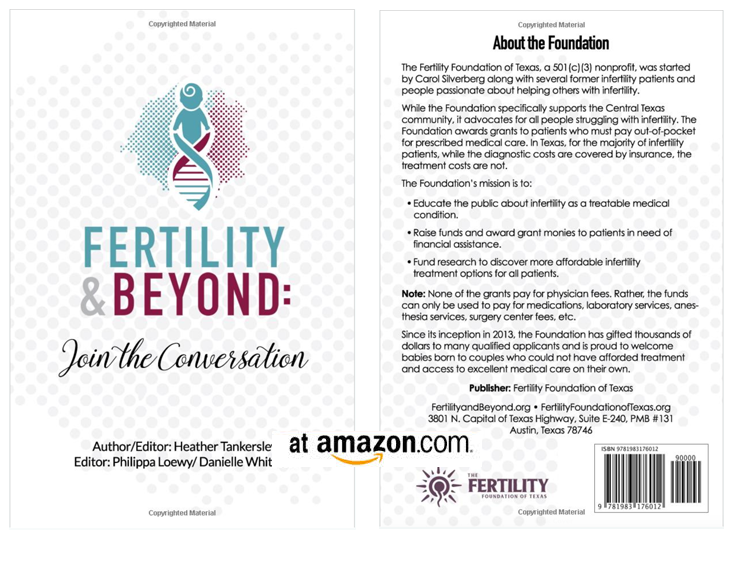 Fertility & Beyond was written to initiate the conversation about infertility. The author shares a bit of her personal experience with infertility and the journey she and her husband took to have their two beautiful daughters. Throughout this experience, she met many extraordinary people and decided it would be helpful for others who are struggling to start a family, looking to support a loved one, or simply want to understand the condition that affects 1 in 8 couples. Heather sat down with experts regarding many aspects of fertility and engaged in a candid conversations and is opening those conversations up to you!